701 Restaurant invites guests to come celebrate Independence Day with a festive patio pig roast on Monday, July 4th at 2:00 PM before the fabulous fireworks and during the festivities on The National Mall. 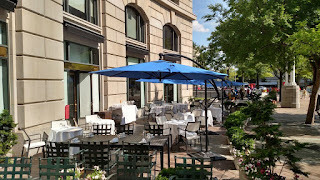 701’s patio is an easy stroll from Constitution Avenue (between 7th and 17th) where the National Independence Day Parade will take place at 11:45 AM. Come enjoy the BBQ before securing a spot on the West Lawn of the U.S. Capitol for A Capitol Fourth, which begins at 8:00 PM. The concert commonly features a star-studded lineup of musicians and a performance of Tchaikovsky's 1812 Overture by the National Symphony Orchestra during the grand finale of the fireworks over the National Mall. Guests can pig out on Executive Chef Benjamin Lambert’s house-made barbecue staples such as Loaded Potato Salad with cheddar, scallions, crème fraiche, and bacon; Cole Slaw; Baked Beans; Corn Bread with honey - jalapeño butter; Lobster Roll with Duke’s mayonnaise, cucumber, and tarragon; Whole Hog Roasted BBQ served with a roll and moppin' sauce; Hot Dog with hot dog onions and pimento cheese; Potato Chips with herbs d’ Provence and goats cheese cream; 701 Burger with bacon, comte, truffle aioli, and thrice fried fries, as well as a Pit Beef Sandwich with blue cheese, pickled onions, tiger sauce, and greens. All dishes are sold a la carte and range in price from $5 to $20 and walk-ins are welcome. Additionally, guests can enjoy a limited dinner menu that evening featuring modern American cuisine menu during regular dinner hours, from 5:30 PM to 10:00 PM. Summertime staples including a whole roasted hog and lobster rolls are part of the dining fun for July 4th and 701 Restaurant is just a short walk to The National Mall for festivities and fireworks. The National Mall will also have the Smithsonian Folklife Festival, on July 4th. Artists, artisans and performers will bring the culture to life through concerts, a festival marketplace, dances and presentations at this annual free festival. WHEN: Monday, July 4th at 2:00 PM, BBQ at 701 Restaurant. WHERE: 701 Restaurant is located at 701 Pennsylvania Avenue, NW, Washington, DC 20004; Call (202) 393-0701 to learn more about the cookout. 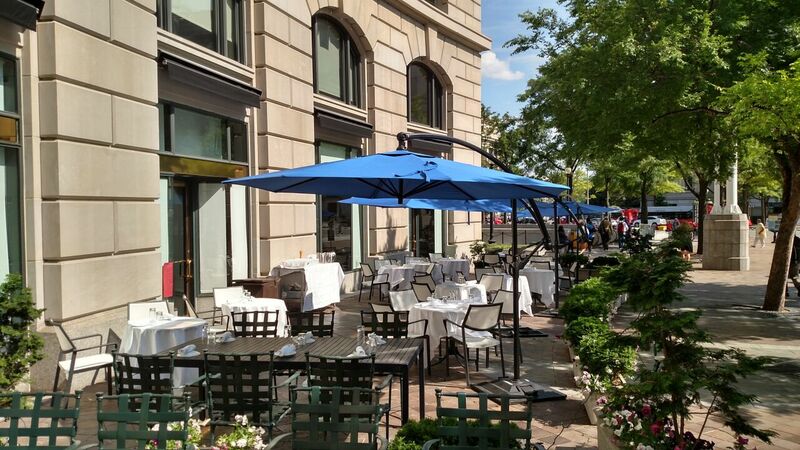 WHY: Just steps away from the National Mall, 701 Restaurant is the ideal spot to enjoy a day of food, fun, and sun before walking to the nation’s most spectacular fireworks show in honor of July forth. There’s no better place to be on Independence Day than the National Mall, the nation’s most important civic space and home to some of the most iconic monuments and memorials in our country. For more than half a century, the NPS has been at the heart of the Independence Day festivities on the National Mall. Every year thousands of people come together on the National Mall in honor of the founding of our nation.